To log off another user in Windows Vista, execute the following procedure. You need administrative rights in order to do this. 3. 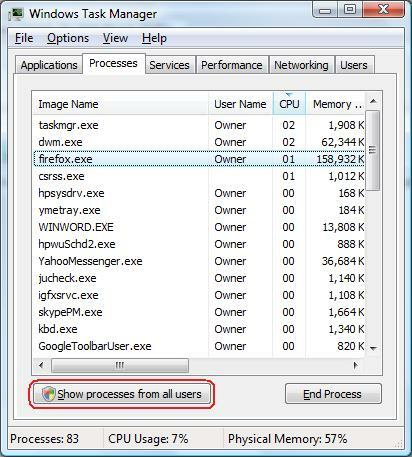 In the Task Manager window, go to the Processes tab. 4. On the Processes tab, click the Show processes from all users button. 5. Select the Users tab. 6. On the Users tab, select the user to be logged off. 7. Click the Logoff button.